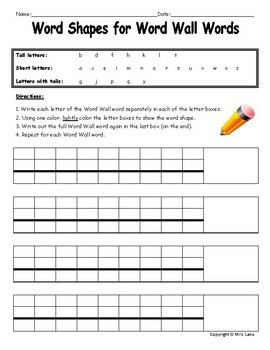 -A handy, ready-to-print and use worksheet! "Thank you for connecting this to letter shape for greater retention and word recognition!" --Jean P.
*2 pages total (1 worksheet).